Select from the drop down box below to find portable shower hire suppliers in your area. Or click here to make an enquiry to a number of companies in one go. Portable shower hire is becoming more and more commonplace for events and projects of all kinds. Shower units are available in individual units as well as trailer bays � depending on how many guests you need the showers for. 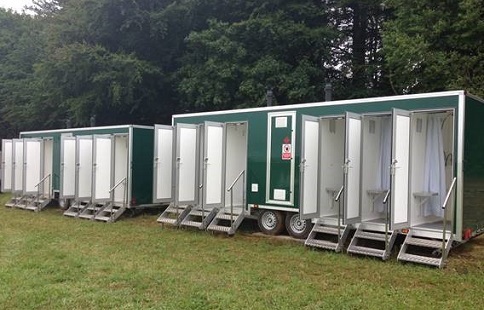 Hired shower units are often used for events like camps and festivals as well for when bathrooms are being refitted. You can expect your shower units to offer privacy as well as being clean and of good quality. To get in touch quickly with shower hire companies in your area � use the �make an enquiry� button at the top of this page. Whatever you are looking for � please use the �make an enquiry� button to the right of the page to contact local suppliers and to check availability. Shower props and catering equipment are ideal for weddings, media events, product launches, film sets, business openings, garden parties and events of all kinds.